Gold is considered as one of the most reliable and stable investments when compared to other investments. Therefore, many investors prefer to invest their hard earned money in gold bars or coins. Modern advancements in technology have made it easier for investors to buy and sell gold. They can get in touch with online retailers to purchase precious metals. Not everyone who claims to be a gold dealer can be trusted. You should carry out some research on your own to know your dealer. Always go for a dealer with good reputation. Check their professional website to know how many years of experience they possess. A reliable dealer is always willing to communicate with you via email or phone call to answer your concerns. Social media can also help you determine the credibility of a gold dealer. If the dealer has a professional account on a social website, you can look for customer reviews. If they have a history of many satisfied clients, there is no harm in doing business with them. Don’t be in a hurry to make a decision when it comes to buying or selling gold. Take your time. If you find it difficult to choose the right deal, you can ask the gold salesperson. Well-reputed gold dealers won’t hesitate to answer your queries. On the other hand, scammers try to convince buyers into carrying out a deal without any delay. 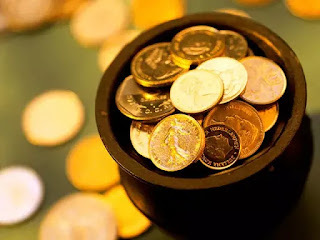 If you want to buy gold coins, you should ask online dealers to provide relevant information. Legitimate gold sellers know the value of coins and often prepare material to guide customers about the history and value of the coins. If the gold coins are rare, you should look for their current market value and why they’re so special for coin collectors. At some point in life, you may want to sell off your gold. It’s best to ask the dealer about their buy-back policy beforehand. It’ll ensure you won’t face any problems down the road. Gold dealers know the actual worth of your investment and won’t hesitate in buying back gold they have sold you. However, if they seem to be reluctant in informing you about their buy-back policy, chances are you may be dealing with a scammer. Never make full payment before you receive gold in hand. Scammers tend to make false promises that you’ll receive gold only after clearing the payment. However, you need to play your cards right to stay safe. All in all, investing in gold can benefit you in the long run. However, if you aren’t careful in choosing an online gold dealer, you may end up losing your savings to a scammer.